Oberonia falcata King & Pantl. 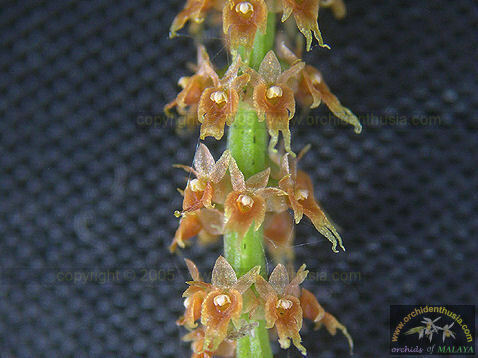 1895 SUBGENUS Menophyllum Photo by © Ong Poh Teck and the The Biological Diversity Clearing House Website. 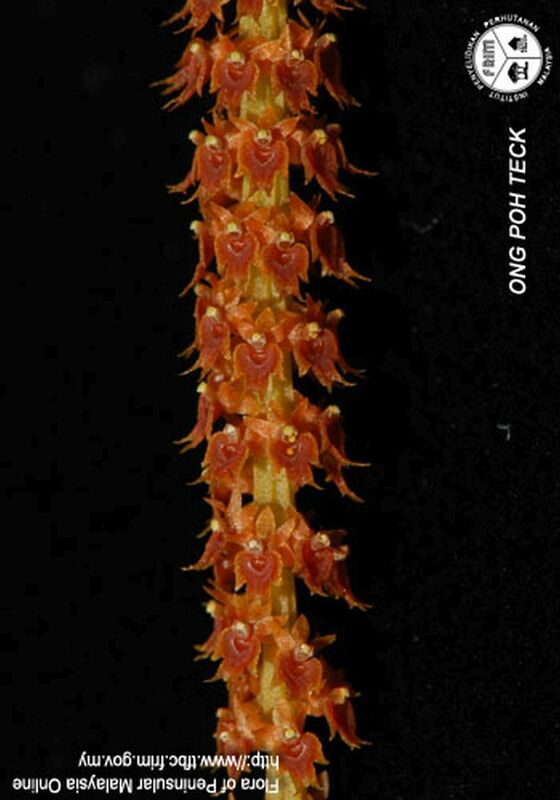 Found in the eastern Himalayas, Nepal, Thailand, Vietnam, Malaysia and Sumatra in tropical valleys at elevations of 1300 to 1800 meters as a mini-miniature to small sized, cool growing epiphyte with a flexuose stem enveloped completely by imbricating leaf-bearing sheaths carrying 5 to 6, linear-ensiform, falcate leaves that blooms in the summer and early fall on an erect, subverticillate, terete, 1.6 to 6.4" [4 to 16 cm] long, densely many flowered inflorescence with lanceolate, acute, hyaline, erose floral bracts.